You can take place on a couch, an armchair or on a chair and spend your time as you like it. Maybe reading a book, watching tv, surfing on your tablet, just do it on a comfortable seat, otherwise you can forget to relax. Choosing a comfortable seat is sometimes a complex task considering the numerous proposals available. Pierantonio Bonacina, a modern company with historical roots in the furniture field producing indoor and outdoor design elements, may suggest you how to furnish your spaces with comfortable and well designed products. Do you like the classic, timeless, style never going out of fashion? For you the Continuum armchair is perfect. Designed by great Giò Ponti in 1963, is suitable both for indoor and covered outdoor. The rattan frame is enriched by the leather strings in strategic points. On the chaise-longue is laid a comfortable cushion with removable fabric cover. The sinuous lines of Continuum have the charming of the great classics, appreciated by generations of designers and estimators. Would you like to live in a charming environment, maybe a fairy-tale house? You can start with the very famous Egg, a design element which inspired architects all over the world. 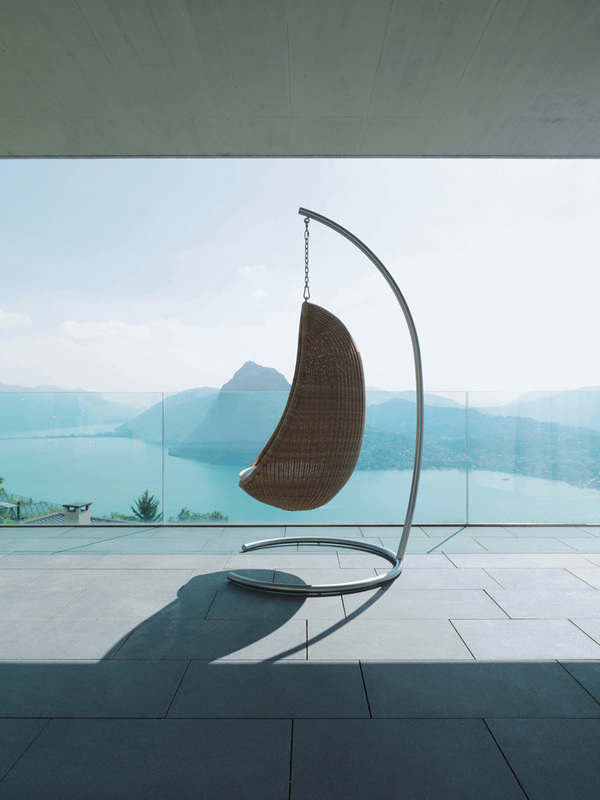 The hanging chair comes from a design of Nanna Ditzel dated 1963. Since the start of its production it met an enormous success. It is available in wicker of in material for outdoor, hanging to a metal stand or hooked to a chain. Egg is not common armchair, with pleasant proportions and fairy-tale taste. Are you fashion followers, trendy and do you have plenty of determination? The Muffin sofa is really for you. It was designed by famous Piero Lissoni, its strucure is made of massive wood completely wrapped by a soft padding. A “must have” for those who want to be trendy. Do you wish a colourful life? Nothing better than Miss B chairs to start your day happily. They were designed in 1997 by Tito Agnoli. Miss B is cosy and charming, you can choose it in several colours to give a touch of verve to your house. It will be like owing a private rainbow. If you have on the other hand simple taste Pierantonio Bonacina recommends the seat Astoria HB. It comes from an idea of Franco Bizzozzero in 1999. It has a light massive wood structure in walnut, oak or Iroko with weaving in leather string or material for outdoor. They are the comfort made seat and have a great qualità: they really last a lifetime. Are you a beauty lover? Do you think you have a strong aesthetic sense? In this case don’t miss the sofa Stave, by Piero Lissoni. The linear massive wooden structure in Iroko is covered by several loose cushions, available both in indoor and outdoor fabrics. A sofa beautiful and possible.